Is your child's dieting a concern? 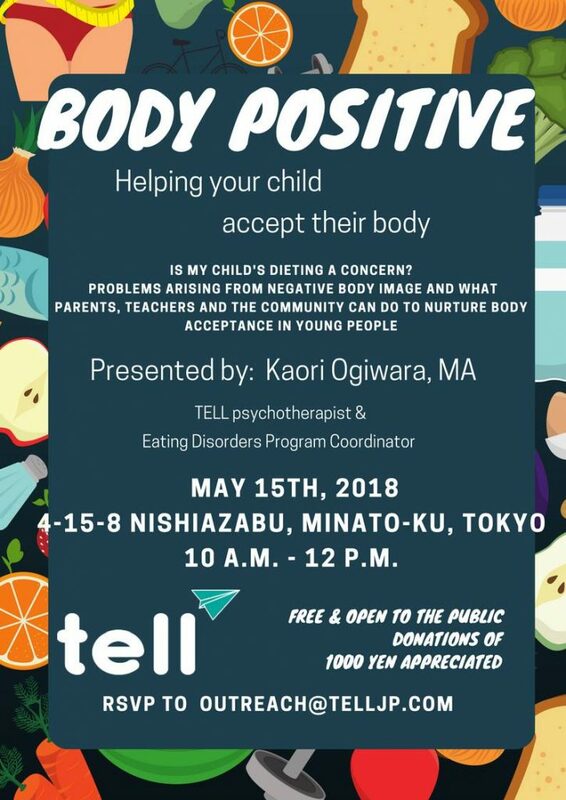 In this workshop, we'll talk about adolescent eating disorders, problems arising from negative body image, and what parents, teachers, and the community can do to nurture body acceptance in young people. This program will be held at 4-15-8 Nishiazabu, Minato-ku, Tokyo, an 8-minute walk from Roppongi or Hiroo stations. This is a rental space in a residential area, and we will post flyers at the entrance of the building on the day of the event. Please email outreach@telljp.com to RSVP. Donations of 1000 yen are appreciated.